I can’t imagine what a month it has been for William Kamkwamba. 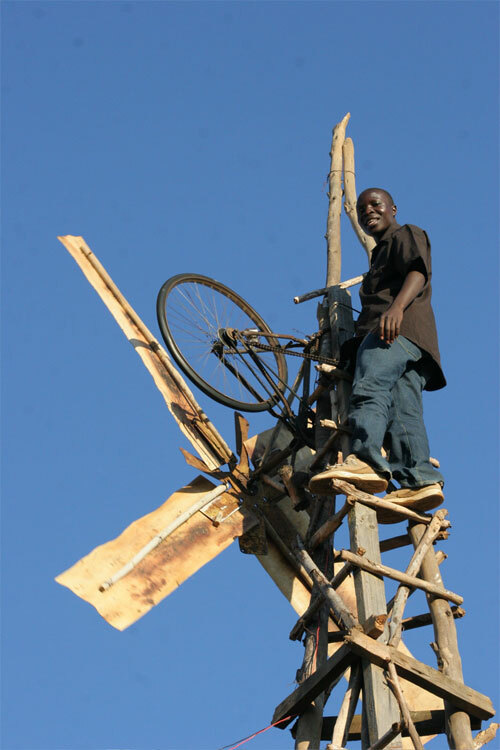 A few years ago he showcased his innate willingness to learn and overcome life’s challenges by teaching himself how to build a windmill from scratch. Using only local materials, he created electricity for his home, in a village that had none. He was the posterchild for TEDGlobal 2 weeks ago. William represented what so many at the conference understood about African entrepreneurship, creativity and ingenuity. He now sits in a position to further those dreams. Now, with the help of TED and an unnamed benefactor, he has started his own blog, is using a TED-borrowed computer and has an email address. Currently, his mentor in Malawi Dr. Hartford Mchazime, is working with TED to find a good school for him to finish up at. Since William has an obvious bent towards mechanics and engineering, they are looking into opportunities to further his education in those areas as well. What a life changing event TEDGlobal was for him! What an addition to the African blogosphere. Thanks of the heads up Hash! This is one inspirational story. A healthy addition to the blogoshpere. The publicity he is getting will trickle down to others we have even heard about. And Hash your blog is fantastic. every time I read it even if I’ve read it before, it takes my mind into a place of a million possibilities. keep it up. Hash, i saw your comment on my blog. The brains behind Peupe is Al Kags a blogger..
William and others and your support Africa will one day be independent. great post… sorry I didn’t get to meet you in Arusha. The conference was amazing and William’s presence on stage was a true TED moment full of emotion and hope. I just downloaded your “African Network” manifesto and would like to share it with some people at Motorola where I work. I came away with a very strong feeling about the potential of cell phones to transform Africa. The AMD CEO’s presentation was impressive but the thought that kept occuring to me is that cell phone IS the $100 laptop. Hi White African are you are a gal or a boy,can i look after you or not/Are you in kenya or not? To William, I say that’s the spirit. You are surely going places and inspiring us along the way.